Andrew Baqué is an instructor in the School of Interior Design. On a semester-by-semester basis, Baqué fills the need for design studio instructors in the Schools of Architecture, Interior Design, and Landscape Architecture, and lecture courses in the School of Architecture. His experience in spatial design transfers to multiple disciplines at a variety of project scales. This broadens the base of studio pedagogies and heightens student awareness of the spectrum of human, spatial experiences. He is principal and co-founder of Baqué Huffman STUDIO, a design firm rooted in the colloquialism of place. The firm searches the overlapping patterns in the region’s built, cultural and ecological systems to identify intrinsic experiences fostered in communities and indigenous settlements. These are translated into a balance of human and natural environments crafted to comfort, needs, sustainability and enjoyment. Baqué has created a studio environment where client and design team collaborate around common interest, client goals, cultural and environmental stewardship, political and financial innovation, and planning and design acumen. Their ethic is to form relationships with clients and communities that foster dialogue, consensus and hope in a spirit of collective and authentic place making. 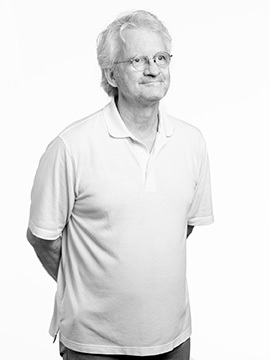 Andrew Baqué has over 35 years’ experience in design, architecture and planning. Prior to founding Baqué Huffman STUDIO in 2014, he was the studio director for Urban Design and Planning for Manning Architects in New Orleans, Louisiana. There he was principle-in-charge of local joint ventures with international firms, such as Pelli Clark Pelli, AECOM, and Goody Clancy. He worked on landmark regional projects with the Aviation Board on the design of the new Louis Armstrong International Airport Terminal, the Convention Authority on a new vision for the Convention Center District, and the Housing Authority of New Orleans, local office of Housing and Urban Development and State Historic Preservation Office on the downtown Iberville Public Housing Redevelopment project, which included three years of public outreach and design. Since 2005 he has been group leader of Urban Design Services for Atwell-Group in Cleveland, Ohio, where he implemented a new corporate structure for urban design services, prepared in-house seminars on industry trends and best-practices, and worked closely with marketing on branding strategies and corporate development on business promotion.